Our technologically integrated Cone Screw Mixers have suitably used for precisely mixing powders, slurries, and pastes. These mixers are developed by making most of best grade carbon steel, steel and stainless steel along with the employment of sophisticated techniques. This mixer range gives exceptional mixing performance with its incorporation screw agitator, helical ribbon, spiral belt, mixing chamber, cylinder wall and electro motor. 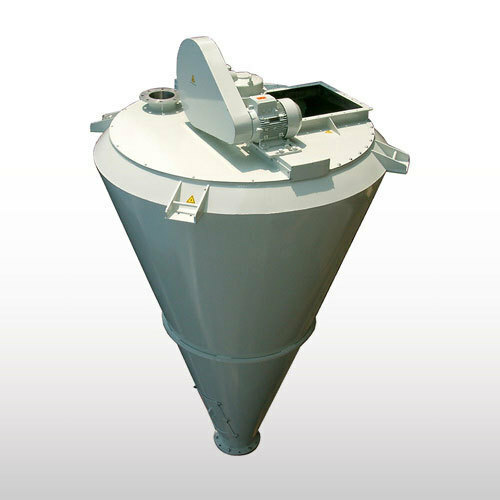 The screw blade inside the mixing chamber cuts dislocates, inter-diffused, convects and mixes the material homogenously. Note : Capacity of the screw mixer varies between 50 Litres and 15000 Litres.